SERC TALKS – What Were the Top Issues and Opportunities from the SERC Model‐Centric Design and Acquisition Forum? and simulations originally created for design and development and expanding them into new cloud-like services enabled by the industrial Internet. Most organizations today have a unique capability realized by integrating commercial technologies and tools with their own innovations. The Systems Engineering Research Center (SERC) organized an Industry-Government Forum to gain insights from key stakeholders in the “user community” on how to transform our engineering and acquisition culture in light of these advancements, how to align engineering and business/acquisition models; and explore ideas and concepts to improve the efficiencies, and speed development, deployment, and sustainment of needed capabilities to the user. The intent of this Forum was for key stakeholders in industry, government, and academia to converge and identify high-value “air gaps” that remain as hurdles in model-centric engineering, and that can be addressed through focused research and policy. This presentation will highlight the primary insights and challenges identified during this forum. Dinesh Verma is the Executive Director of the Systems Engineering Research Center (SERC), the first University Affiliated Research Center established by the DoD for Systems Engineering Research. He is also a Professor in Systems Engineering at Stevens Institute of Technology as well as the Scientific Advisor to the Director of the Embedded Systems Institute in Eindhoven, Holland. Prior to this role, he served as the Dean of the School of Systems and Enterprises at Stevens institute of Technology (2007 -2017), as well as the Technical Director at Lockheed Martin Undersea Systems, in Manassas, Virginia, in the area of adapted systems and supportability engineering processes, methods and tools for complex system development and integration. Before joining Lockheed Martin, Verma worked as a Research Scientist at Virginia Tech and managed the University’s Systems Engineering Design Laboratory. While at Virginia Tech and afterwards, Verma continues to serve numerous companies in a consulting capacity, to include Eastman Kodak, Lockheed Martin Corporation, L3 Communications, United Defense, Raytheon, IBM Corporation, Sun Microsystems, SAIC, VOLVO Car Corporation (Sweden), NOKIA (Finland), RAMSE (Finland), TU Delft (Holland), Johnson Controls, Ericsson-SAAB Avionics (Sweden), Varian Medical Systems (Finland), and Motorola. He served as an Invited Lecturer from 1995 through 2000 at the University of Exeter, United Kingdom. His professional and research activities emphasize systems engineering and design with a focus on conceptual design evaluation, preliminary design and system architecture, design decision-making, life cycle costing, and supportability engineering. 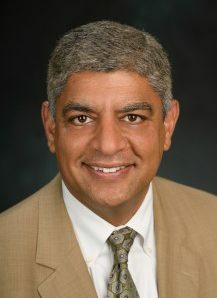 In addition to his publications, Verma has received one patent and has two pending in the areas of life-cycle costing and fuzzy logic techniques for evaluating design concepts. Dr. Verma has authored over 100 technical papers, book reviews, technical monographs, and co-authored two textbooks: Maintainability: A Key to Effective Serviceability and Maintenance Management (Wiley, 1995), and Economic Decision Analysis (Prentice Hall, 1998). He is a Fellow of the International Council on Systems Engineering (INCOSE), a senior member of SOLE, and was elected to Sigma Xi, the honorary research society of America. He serves an a member of the External Advisory Board on Systems Engineering at SAIC, on the Systems Engineering Advisory Council (SEAC) of the Systems and Software Consortium, and the Advisory Board of the Center for Systems Engineering at the Air Force Institute of Technology.